The race to find a treatment for Alzheimer’s disease and other forms of dementia is littered with false starts, dead ends, and fiery crashes. That caveat aside, there has been some promising research indicating a class of drugs originally created to control diabetes and fight obesity could also help slow down the progression of Alzheimer’s. A new study in mice, published recently in Brain Research, now suggests we could supercharge this cognitive protective effect by using a drug that interacts with three hormones connected to diabetes. The basic premise behind using diabetes drugs to treat Alzheimer’s is simple enough. We know having type-2 diabetes increases the risk of Alzheimer’s; we also know that people with Alzheimer’s have brain cells that can’t use glucose—the primary source of fuel for all cells—as efficiently as typical cells. That same sort of dysfunction is at the heart of diabetes: Diabetics either produce less insulin or don’t respond to it as strongly as they should, so they can’t process glucose easily. By fixing the brain’s glucose problem in people with Alzheimer’s, it’s hoped, we can delay its progression. The drug used in the study is already in development as a potent treatment for both diabetes and obesity, with encouraging if early results. It works by binding to the receptors for the hormones glucagon-like peptide-1 (GLP-1), glucose-dependent insulinotropic polypeptide (GIP), and glucagon, allowing the body’s cells to take in more of each. The first two hormones help the body stimulate the production of insulin and amplify its effects, which keeps our blood sugar level from getting too high, while glucagon acts as a counter-weight to insulin, and is released when blood sugar is too low. By combining all three effects at once, the drug has been shown in the lab to help obese and diabetic mice balance their blood sugar levels, maintain a healthy metabolism, and lose weight better than existing medications that only work on one or two receptors. The current study is the first to test whether this drug could also help prevent or even repair the corrosive brain damage inflicted by Alzheimer’s. 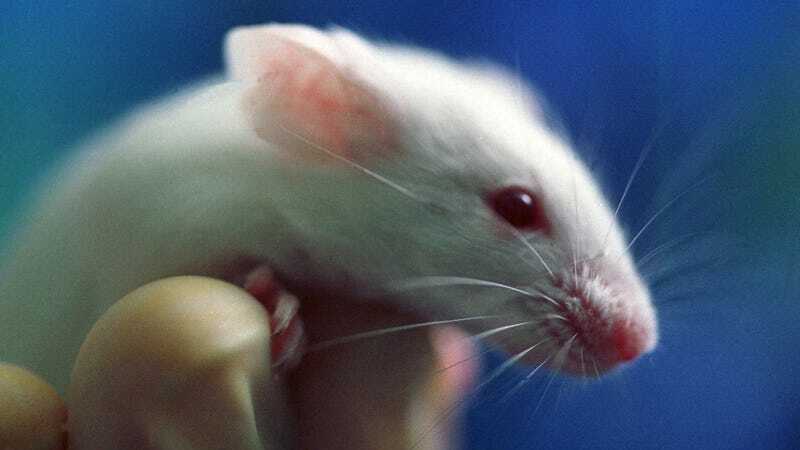 The researchers used mice genetically bred to have many of the aspects of Alzheimer’s—memory loss, chronic brain inflammation, and the tell-tale build-up of amyloid plaques that wedge in-between and seem to damage nerve cells. They injected the mice with the drug every day for two months. When compared to a control group, the dosed mice had less inflammation, less plaques, and even improved neuron growth. More visually apparent, the mice also performed better on maze tests, suggesting the drug had stopped and even reversed their memory loss. “The novel triple GLP-1/GIP/Gcg receptor agonist holds clear promise of being developed into a new treatment for chronic neurodegenerative disorders such as Alzheimer’s disease,” the authors concluded. Again, it’s important to stress we’ve been down this path many times before with Alzheimer’s research: Promising findings in animals that utterly fail to appear in large, real-world studies of people. Just this past year, at least three Alzheimer’s drugs flunked their Phase III trials (the last phase of clinical drug development before the FDA will approve a new treatment) hard, including a drug that worked on a similar premise of fixing brain cells’ fuel shortage. The researchers in the current study strike a note of caution themselves, pointing out that more studies will need to demonstrate whether the three-pronged approach is actually better at fighting off Alzheimer’s than other techniques, along with figuring out how much of a dose is enough to get a strong enough but safe response. For the ever-optimistic, though, there are signs of hope. An early phase human trial of the diabetes drug liraglutide was successful enough to lead to an expanded version that’s ongoing now, and there have been other small, encouraging trials using diabetes drugs to slow down neurodegenerative disorders like Parkinson’s disease. If this research pays off, it could lead to already-approved drugs being repurposed to treat Alzheimer’s, which would take much less time than the sometimes decade-long process it can take for a wholly new drug to reach the public.